It’s no secret – I like to be in control. Now, I don’t mean that in a narcissistic or manipulative way. I just mean that I like to call the shots in my life. I like deliberately choosing who I hang out with and how I spend my free time. I like managing my own finances. I like having the ability to book a plane ticket to anywhere on a whim. And I like the freedom to sometimes eat two Chipotle burritos in one sitting without judgement (*cough* Maddy Evans *cough*). I don’t like losing control, and I imagine that neither do many of you. Remember from my last post, autonomy refers to the feeling of having control over what you do. Similarly, perceived control is the belief that one can determine one’s own internal states and behavior, influence one’s environment, and bring about desired outcomes. It is when we lose our sense of autonomy or perceived control that crisis ensues and our emotions go haywire. I’ve recently learned that the mind is an incredibly powerful thing. Amazing transformative change can take place in your life when you decide to control the controllables. Now, I realize that we can’t necessarily control what happens to us and we certainly can not control how other people behave. Maybe someone tackled you studs up, leaving you on the sidelines for the big game. Maybe the boy you liked dumped you via text-message on Friday night. Maybe you received news that someone you love is struggling with a difficult diagnosis. We can’t control the hand we are dealt, but we can control how we react. If you were on instagram earlier this week, you might recall my post on some of the things we can control in our lives. We have power over our punctuality (to some degree – God Bless you if you take the T in Boston during the wintertime), our effort, our body language, our mindset, our actions, and our preparation. In the United States alone, nearly 38 million youth and adolescents participate in organized sport. Awesome. Organized sport is the leading cause of injury in youth and adolescents. Less awesome. But here comes the confusing part. Many studies have explored the benefits of injury prevention programs and proved their efficacy. So then why is adherence to these programs so incredibly low? This is a frequently posed question in the world of sports medicine and rehabilitation. Sport injuries are often predictable and preventable, yet there remains this disconnect that we have no control over injury. Too many of our athletes have the mindset, “it won’t happen to me” because of their lack of perceived control. I remember 15-year-old Jules sitting in the front seat of my mom’s Murano on our way to soccer practice over a decade ago. She asked me what I would do if I got hurt and couldn’t fulfill my dream of playing professional soccer. I got pissed. I gave her the silent treatment after simply replying, “I’m just not going to get hurt.” Duh. Welp. Spoiler alert: Mom was right (I’m sorry, Mom). I got hurt over, and over, and over again. And it wasn’t until recently that I started to question why. I bought into three of the most popular and dangerous mindsets associated with sport. These mindsets are fatalism, invincibility, and acceptance. Fatalism is the idea that accidents happen, especially when engaging in inherently risky behavior like sport. Invincibility is a dangerous combination of denial and deflection, where an athlete thinks that injury won’t happen to them, and that if it does, is attributed to sheer luck rather than his/her (in)action. Sure, some injuries are just straight-up bad luck. But many of them can actually be avoided with the proper neuromuscular training. The third mindset is acceptance, or the idea that pain is just a part of sport. Sport culture normalizes injury and often rewards athletes for ignoring and playing through pain or injury. While serenity and acceptance are wonderful attributes to embody, they should not be used as scapegoats when engaging in risky behavior. That would be like saying, “Well if I get smacked by a car while crossing this busy highway, it is what it is.” ……No. You stop and look both ways. You don’t just carelessly step out into traffic. Fatalism, invincibility, and acceptance often cloud our judgement when it comes to implementing injury prevention programs. Many people even advocate for eliminating the phrase “injury prevention” and moving more towards and “injury reduction” mindset. I certainly see the validity in that verbiage, but also understand that some injuries can outright be prevented. These injuries include the non-contact deceleration, cut, pivot, land, or twist that so many of us have unfortunately experienced. Earlier this year, Webster and Hewett published an article where they pooled together data from various meta-analyses that looked at the effectiveness of ACL injury prevention programs with the intent of summarizing the results into one single source. They used five different databases and eight different meta-analyses. What they found was that there was an overall 50% reduction in the risk of all ACL injuries in all athletes (males and females) and a 67% reduction for non-contact ACL injuries in females. Read that again. FACT: ACL prevention programs reduce the risk of all ACL injuries by half in all athletes and non-contact ACL injuries by two-thirds in female athletes. This past July, the American Journal of Sports Medicine published a similar clinical update. This article aimed to evaluate the common and effective components in ACL injury prevention programs and to develop an efficient, user-friendly tool that can assess the quality of such programs. In this systematic review and meta-analysis (*pushes glasses further up nose* level 1 evidence here, guys), the researchers looked at 18 studies with over 27,231 participants. What they found was that programs targeting middle or high school-aged athletes reduced injury risk to a greater degree than did programs for college- or professional-aged athletes. They also found that ACL prevention programs are more effective when implemented throughout the sport season and not just simply in the pre-season (…go figure). They concluded that effective ACL injury prevention programs should include lower body strength exercises (specifically nordic hamstrings, lunges, and heel/calf raises) with a special focus on landing stabilization (jump and hold, drop and land). Injury prevention programs that include balance, core-strengthening, stretching, or agility are no more effective than programs that do not incorporate these components. All of the effective ACL injury prevention programs also included some sort of formal implementor training like instructional workshop, video, or brochure, where coaches or parents were trained in safe body mechanics. What good is an ACL injury prevention program if it is poorly instructed? The researchers came up with this awesome checklist that clinicians, coaches, athletes, and parents can use to gain insight on the quality of their current injury prevention practices. How much benefit are you getting from your current program? You might be wondering how long or how often you should perform your injury prevention program. Although Petushek et al. did not describe optimal dosing, the Journal of Orthopedic and Sports Physical Therapy did in their most recent update of clinical practice guidelines regarding exercise-based knee and anterior cruciate ligament prevention. The authors state that these programs should involve multiple trainings per week and that training sessions should last longer than 20 minutes, with a cumulative training volume of longer than 30 minutes per week. For some reason, people don’t like to hear about injury prevention. They just don’t buy into it. I usually sugarcoat the discussion with aspects of performance enhancement – because when you think about it – if you move better, you’ll play better. If you’ve made it this far (kudos and a sincere thank you), I’ve somehow tricked you into reading about a boring topic with images of me housing ungodly amounts of Mexican food and an angsty teenager staring out a car window not speaking to her mother. Remember to always control the controllables. If you knew you could have prevented yourself or your child from sitting on the sidelines for 6-9 months, wouldn’t you? 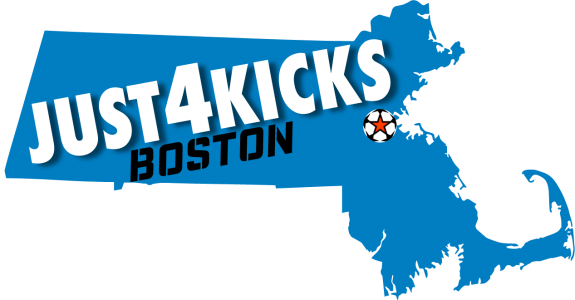 If you or someone you know would like to be trained in ACL injury prevention implementation, feel free to head over to the contact page or send me a message at contact@just4kicksboston.com. Thanks for reading, and until next time, be well. Webster KE, Hewett TE. Meta-analysis of meta-analyses of anterior cruciate ligament injury reduction training programs. J OrthopRes 2018. Petushek, E., Sugimoto, D., Stoolmiller, M., Smith, G., & Myer, G. (2018). Evidence-Based Best-Practice Guidelines for Preventing Anterior Cruciate Ligament Injuries in Young Female Athletes: A Systematic Review and Meta-analysis. The American Journal of Sports Medicine., (78), 6-6. Arundale AJH, Bizzini M, Giordano A, et al. Exercise-Based Knee and Anterior Cruciate Ligament Injury Prevention. J Orthop Sports Phys Ther 2018; 48:A1. Deci, E. L., & Ryan, R. M. (1985). Intrinsic Motivation and Self‐Determination in Human Behavior. New York: Plenum Press. Deci, E. L., & Ryan, R. M. (2000). The ‘‘what’’ and ‘‘why’’ of goal pursuits: Human needs and the self‐determination of behavior. Psychological Inquiry, 11, 227‐268. Emery, C. A. & Meeuwisse, W. H. (2008). The effectiveness of a neuromuscular training program to reduce injuries in youth soccer: A cluster‐randomized controlled trial. British Journal of Sports Medicine, 42, 497. Emery, C. A., Rose, M. S., McAllister, J. R., & Meeuwisse, W. H. (2007). A prevention strategy to reduce the incidence of injury in high school basketball: A cluster randomized controlled trial. Clinical Journal of Sports Medicine, 17, 17‐24. J. (1991). Positive deviance among athletes: The implications of overconformity to the Sport Ethic. Sociology of Sport Journal, 8, 307‐325. Hughes, R. & Coakley, J. (1991). Positive deviance among athletes: The implications of overconformity to the Sport Ethic. Sociology of Sport Journal, 8(4), 307‐325. Keats, M. R., Emery, C. A., & Finch, C. F. (2012). Are we having fun yet? : Fostering adherence to injury prevention recommendations in young athletes. Sports Medicine, 42(3), 175‐184. Kontos, A. P. (2004). Perceived risk, risk taking, estimation of ability and injury among adolescent sport participants. Journal of Pediatric Psychology, 29(6), 447‐455. McGuine, T. A. & Keene, J. S. (2006). The effect of a balance training program on the risk of ankle sprains in high school athletes. American Journal of Sports Medicine, 34, 1103‐1111. Wallston, K. A., Wallston, B. S., Smith, S., & Dobbins, C. J. (1987). Perceived control and health. Current Psychological Research & Reviews, 6(1), 5‐25. I will share this with friends and parents. — I really enjoy your work. I remember that car ride and few more like that when an idealistic and very passion adolescent did not want to think about adversity, but rather, just the game. You have come so incredibly far in your journey and I love how you are reaching out to help others prevent , deal, and understand this type of pain and disappointment. Keep up the great work! I love you.